Are you struggling to find the best RPG board games on the internet? I know I did, as I was finding everything from Live action role-playing games to family board games returned, but no real RPG board games. That is partly because the term ‘RPG board game’ means different things to different people. It does not have a single and shared definition, at least as far as board games are concerned. Some are getting biased by the Dungeons & Dragons tabletop role-playing games, others are inspired by video RPG games. If you agree with the above, we are in a great company and I am about to show you why. Below you will find the carefully hand-picked selection of some of the best RPG board games on the market today. The following table we believe summarizes best of the best RPG board games on the market. We have tried to cater for different player preferences in terms of a theme, complexity, game duration, player count and age, so we should have a great pick for you! The best fantasy RPG adventure we could find. Role-playing, campaigns, character development, and 95 included scenarios to keep you busy. One of the most sold examples of fantasy RPG experience. Players get to crawl dungeons, discover artifacts and up-skill characters to fight evil. A perfect RPG card game with an amazing storytelling. Highly customized characters and hundreds of cards deliver a unique game every time. Smart combat system, extremely fun and thematic gameplay. Highly visual, campaign driven Star Wars saga narrative. Ever wanted to pilot a robot? Mechs vs. Minions deliver simple and easy to learn experience with lots of fun, action, and tension. A mother of all RPG board games. Complex, involving and demanding board gaming experience that strategy purists will get to appreciate. One of the most accessible RPG dungeon crawlers on the market. Great light RPG board gaming experience where you can fight other players. A dim and grim board gaming experience that delivers a close to a real feeling of tension and despair. The name says it all. Almost. Medium-weight RPG horror narrative that is full of monsters, action, dice rolls, and fun. Great Lovecraft getaway RPG board game. One of the purest role-playing experiences in board games. Branching narrative, unique character customization, and an in-game market. The best fantasy RPG adventure we could find. Role playing, campaigns, character development, and 95 included scenarios to keep you busy. A perfect RPG card game with an amazing storytelling. Highly customized characters and hundreds of cards deliver a unique experience every time. A dim and grim board gaming experience that delivers a close to a real feeling of tension and despair. The name says it all. One of the purest role-playing experiences in board games. Branching narrative, unique character customization and an in-game market. Gloomhaven is a legacy, campaign style, dungeon crawler board game where players take on roles of wondering fantasy characters and develop them throughout their careers. The game comes with 95 campaigns in a box that will easily take over 100 hours to complete. This is probably one of the very few board games to unlikely require an expansion anytime soon. Teamwork is at the heart of the Gloomgaven. It encourages players to stand together against evils of menacing dungeons and forgotten ruins. As the game advances, players improve their abilities and skills with experience and loot. They explore new locations and carve their unique way through the amazing storytelling by making decisions that determine their path and adventure going forward. One of the main objectives of the game, besides completing scenarios and campaigns, are personal hero quests. Each hero can take on small personal ventures in parallel with the main storyline. Completing personal quests allow additional characters to enter play and provide variety and more strategic options. There are two main game areas, the city of Gloomhaven and the scenario itself. In the city of Gloomhaven, players are able to manage their party, level-up characters, buy or sell items, select new action cards, donate money to obtain blessing or complete city events. The scenario area represents dungeons where players fight monsters, complete quests, and achieve scenario objectives. This active phase is where the main action and storytelling takes place. At the same time, this is also where the game plays against you and forces you to exhaust your characters that become too weak to advance. Keeping your characters in a good shape is paramount as once they all become exhausted – you lose the scenario. What I enjoyed the most with Gloomhaven is its immersive tactical combat experience. The game uses a unique dice-free system that is driven by action cards instead. Each card is divided into top and bottom sections which contain different effects. Most of the time the top section has an attack action whereas the bottom section allows you to either move or provide support. On their turns, players choose two cards and trigger a top action from one card and a bottom action from the second card. Choosing the right card at the right time is both a challenging and a rewarding experience which may sound somewhat simplistic, but manages to create one of the best combat experiences I have ever had in board games. The other highlight of the game is its unparalleled sense of exploration. Discovering new parts of the world brings new hidden items, envelopes, character packets, and fascinating cities. All of which allows you to level your character, improve its skills and ultimately determine the path the storyline takes. Gloomhaven is truly a masterpiece as it has everything you could ever want from a tabletop RPG game. It creates an epic world big and immersive enough for you to lose the sense of time. It invents a unique combat system which is both simple and deeply strategic. It features a streamlined gameplay with relatively easy rules that deliver an exceptionally thematic and fun dungeon crawler experience. If you have money and time commitment at your disposal, Gloomhaven will deliver the best RPG board game experience there is to date. 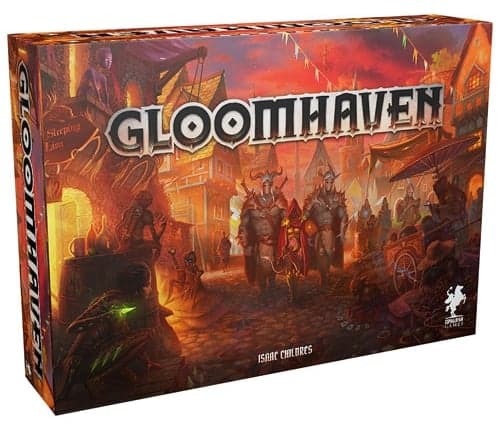 Moreover, according to the trusted board games resource BGG, Gloomhaven is the best board game in the world at the moment! Descent: Journeys in the Dark (Second Edition) is the reimplementation of the original classic that was released in 2005. The game is both cooperative and competitive as one player takes on the role of a deceitful overlord (or dungeon master), whereas up to four other players take on roles of brave heroes. Each turn heroes embark on thematic adventures to complete quests and gain loot. Each quests contributes towards the game objective of stopping the overlord from executing his evil plot. Quests in the game are well thought out and typically require heroes to visit ancient ruins, caves, dark dungeons, and cursed forests where they face monsters and find special items and powers. The great thing about quests in Descent: Journeys in the Dark (Second Edition) is that they are fun, creative, and engaging. Each quest delivers a unique experience that is in line with the overall scenario narrative. Moreover, you can also complete campaign quests, which add an additional level of storytelling and depth. There are two ways to play Descent and both work really well. You can pick one of the scenarios and play it casually enjoying a one-off standalone encounter. Alternatively, you can pick a campaign mode which is lengthier but a lot more immersive. Campaigns represent multiple scenarios strung together to deliver a story-driven dungeon crawler experience. Campaigns are designed to be dynamic and feature evolving storylines. Scenarios in campaigns change depending on whether the overlord or heroes end up winning it. This mechanism does a great job at balancing the gameplay as the next scenario suggested by the game typically favors the losing side. Each scenario is unpredictable in a fun and engaging way. At times it may feel insurmountable for heroes to beat the overlord, other times your heroes feel unstoppable. Overall, the game reaches its peak of intensity, fun, and engagement when both sides are equally competitive sharing victories between different scenarios. Descent introduces a unique dice mechanic to resolve battles. Throughout the game, players build dice pools based on items, weapons they collect and individual character’s abilities. Each die added to the pool contributes to your attacks in a variety of ways. Special symbols and surges on dice trigger special effects to give you the combat bonus which may play a decisive role. 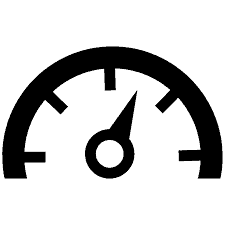 The time factor is crucial in the game, so be prepared to move fast. Your heroes get fatigued crawling through the dungeon and fighting monsters, so they need to rest. Resting is straightforward, but it comes at the expense of time which you always find yourself short on. Overall, it feels somewhat as a balancing exercise between picking the right battles to fight and making progress in the game. At times, Descent’s pace feels scarier than the dangerous monsters it throws at you. In terms of game components, Fantasy Flight is generally as good as it gets and Descent: Journeys in the Dark (Second Edition) is no exception. Miniatures are full of anima, cards have an amazing artwork and the dice are pleasing. The box feels loaded with miniatures, cards and double-sided modular board pieces. It is sure to leave you with a feeling that you got your money’s worth. If you like fantasy dungeon crawlers, Descent will truly surprise, thrill and reward you with almost 40 hours of intense and engaging gaming experience. Each dice roll and each decision can have a dramatic finale, but the smart game mechanic alters the scenarios as the campaign unfolds keeping the balance in check. Descent: Journeys in the Dark is a proven, time-tested board game that stands amongst the best RPG board games ever made. It is a true classic that does not age. Pathfinder Adventure Card Game: Rise of the Runelords is one of the most successful deck-building strategy card games that has managed to incorporate elements of RPG in its design. The game supports one to four players and comes in a large box with five dice and around a whopping 500 cards. It feels balanced and works well with any player count, including a solo play. Players get to take on the roles of heroes fighting evil in the ancient land of Varisia. As a group, you are tasked to cleanse the land from dark and deadly magic, plague, and corrupted monsters. Pathfinder Adventure Card Game is played in scenarios, which together make up an adventure. Related adventures can be strapped together to create an adventure path which is a great way to add an additional depth to the storytelling. The game features multiple characters to chose from such as wizards, ninjas, rogues, slayers, arcanist, magus and many more. Each character has its unique skills, abilities, and proficiencies. In addition, each character has different levels of strength, wisdom, constitution, dexterity, intelligence, and charisma. Once the character is selected, he gets a character card and a starting deck of 15 cards. The deck rapidly grows throughout the games as the players get to acquire weapons, armor, allies, spells, blessings and various supporting items and tools. On a typical turn, a character gets to explore a location and discover the card it contains. Most of the time it can either be a useful item, a villain or a henchman. Useful cards can be acquired, but require a skill check to be performed which is done against the characters stats and skills. You can also locate a barrier which forces a combat check based on strength or specific instructions printed on the card. Barriers represent locked chests, hazards, and various traps, each with their own rules for defeating. Alternatively, you could discover the bad guys. If a henchman is discovered and defeated, the player has a chance to disable the current location permanently. If a villain is discovered, other players have a chance to close their locations. Defeating the villain will make him flee, yet if there are no other open locations, it has nowhere to go and you win the game. Keep in mind to take a good care of your character as dying is unforgiving. Whatever you have managed to amass playing the character disappears and you have to start from the beginning. The best thing for me about Pathfinder Adventure Card Game: Rise of the Runelords is that it encourages teamwork in a very special way. Players can exchange items, give each other blessings, add combat rolls and boost checks. Typically, in the final stages of the scenario, players jointly pick one of the characters for the last battle. The character then gets buffs and perks from other players to increase the chances of defeating the villain and winning the game. It may sound somewhat plain on paper, but in reality, it feels truly epic. Lastly, there is a reason why we only have one card game in our best RPG board game review. It is really hard to convey the dungeon or fantasy atmosphere without having the map and miniatures. At the same time, Pathfinder Adventure Card Game: Rise of the Runelords is an amazing attempt at creating a roleplaying experience and delivering a thematic feel so many other card games fail to do. If you are after the best RPG card game experience out there, it does not get much better than this. 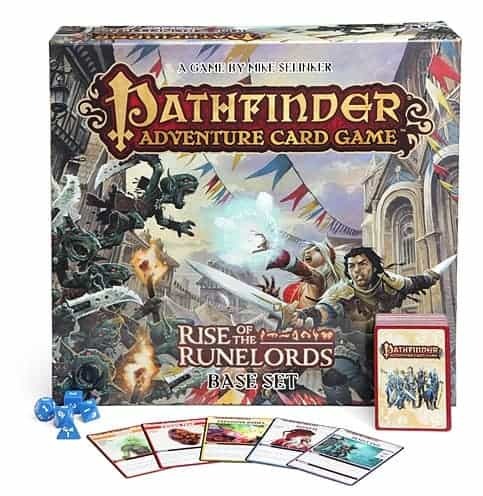 Pathfinder Adventure Card Game: Rise of the Runelords is a great RPG card game and one of the best tabletop to card game conversions we have played to date. The game offers a brilliant story-telling mechanism, character customization, and encourages teamwork. It is probably not a perfect fit for strategy or roleplaying purists but is an amazing option for anyone who prefers a casual gaming experience, card games, and rolling a dice. 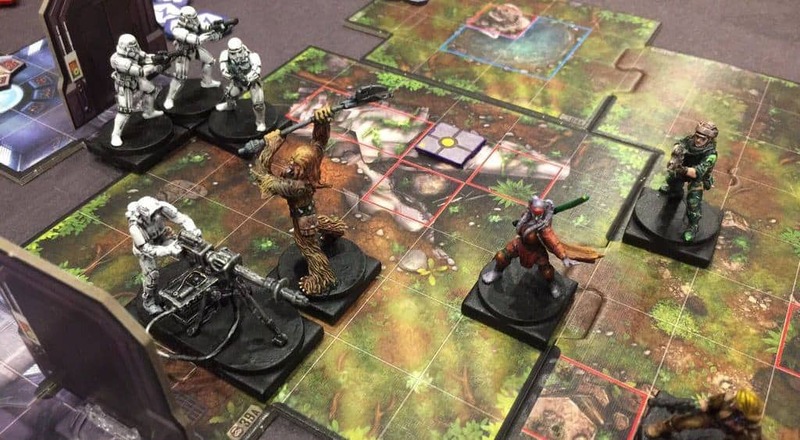 Star Wars: Imperial Assault is a strategy board game that offers two game modes, a story-driven campaign, and a one-on-one skirmish tactical battle. The game concept and mechanics are inherited from the highly acclaimed Descent: Journeys in the Dark with some rules and gameplay being streamlined. 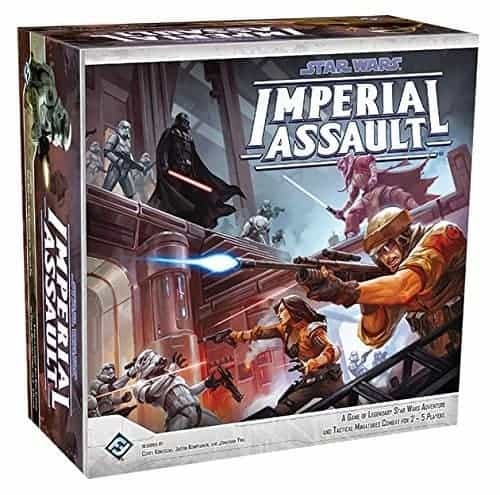 Star Wars: Imperial Assault immerses you into the civil war between the Rebel Alliance and the Galactic Empire after the destruction of the Death Star over Yavin 4. Playing the game in the skirmish mode invites two players to gather strike teams for a head-to-head combat over conflicting objectives. Conversely, in campaign mode, one of the players takes on a role of the leader of the Galactic Empire whereas up to four other players take on roles of Rebel operatives trying to stop the Empire from taking over the galaxy. As the game campaigns unfold, both Imperial and Rebel players acquire new skills and experience, which allows the characters to level and evolve throughout the storyline. The winning side gets additional rewards, yet the losing side gets some nevertheless. Winning or losing determines the mission you play next or the special rules applicable to the mission. There are also handy side-quests available for you to acquire special items and additional cash. The game mechanic is pretty straightforward and represents an action point allowance system. Each card is a unit and on their turns, players activate units they have in the order they choose. Activating a unit gives you two actions which can be spent on attacking, moving, interacting, resting and other special actions. At the beginning of the campaign, it always feels that you are short on actions, yet as you progress, new cards provide additional actions allowing you to plan out more complete and strategic decisions. The combat system is really smart, engaging and amazingly fun as it puts more emphasis on the defender than the attacker. The attacking side rolls the dice which most of the time generates a hit, but may not result in any damage being caused. Next, the defender roll follows which can soften the blow significantly or even negate the attack. This simple yet smart mechanic gives the engaging sense of hope to the defender and makes the dice rolling process amazingly fun. Playing imperials equally exciting as you get to control almost unlimited resources and build a map. Additionally, the Imperials are allowed to know game conditions that trigger special events. Those may include Rebels entering a specific room, etc, which adds a special twist to an already immensely engaging tabletop experience. Star Wars: Imperial Assault is a fantastic game that would appeal to anyone who likes strategy, asymmetric board games, let alone the Star Wars theme. The smart combat system, extremely fun and thematic gameplay that equally well supports up to five players makes it one of the best RPG board games on the market. If you are a Star Wars fan, prepare to be immersed in a deep, engaging and extremely addictive galactical experience that looks beautiful and feels real. Mechs vs. Minions is a cooperative tabletop campaign board game designed for 2-4 players. The game is set in the fictional world of Runeterra, the same world where the famous League of Legends comes from. Each player takes on the role of one of four Yordles who must work together piloting their mechs to achieve the mission and campaign objectives. As a mech pilot, you get to create modular boards, command lines, and program your mech to be efficient on the battlefield to confront a host of foes. The game relies solidly on cooperation between the players to put each character unique abilities to the best use possible. During their turns, players get to issue commands to their mechs by drafting cards which allow mechs to move, turn and attack. Over time, the cards and the sequence they are played in ultimately creates the programming line of commands for mechs to execute. Getting the commands and their order right requires an ability to think a couple of turns ahead. In addition, to run any chance of winning the mission, you would need to coordinate those future turns with other players. The pressure is part of Mechs vs. Minions’s DNA as the game is driven by a strict time limit controlled by a sand timer. Each player gets around 40 seconds at the beginning of their turns to pick the right cards that will help them and the team to face the upcoming challenges and battles. Over time, the decision complexity rises which causes more mistakes and suboptimal decisions to be taken. As a result, surprisingly, but the game becomes more dynamic, tight and ultimately more fun! With enemies spawning on random locations, you slowly find yourself in a controlled environment of a complete chaos. You may kill five minions with a single blast or you could wander around the empty spaces on the board and cause no damage at all. This type of gameplay could be a dealmaker for some and a dealbreaker for others. The campaign approach is what makes Mechs vs. Minions unique. Starting with the introductory scenario, the game builds up in difficulty and depth allowing you to learn the game through playing rather than reading. In addition, the game comes with a secret box and secret envelopes which you should only open if the gaming scenario says so. This adds a great level of suspense and intrigue as you play through your missions wondering what is coming next. With armies of rampaging minions spawning all the time, character progression is key to give you that extra edge to get through scenarios that increase in complexity. The game encourages you to level up your character by slashing, stomping, eviscerating and electrocuting your enemies as they get spawned around you. Mechs vs. Minions delivers an extremely fun, hilarious, intense and overall a very compelling RPG experience. It is surprisingly simple to learn, a joy to look at and a delight to play. At the same time, the game is not for everyone and that is intentional. It may not appeal to strategic and tactically minded players. Conversely, if you are after lots of action and hilaroius fun in the gameplay – this may be one of the best RPG board games on the market for you. 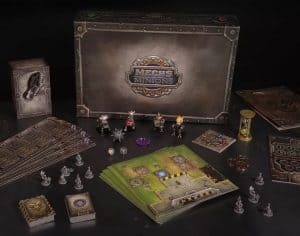 Mage Knight is a fantasy role-playing game where players get to pick one of four mage knights and experience the rich history of Mage Knight universe. When the game came out in 2011 it had all the hype you can think of, and later has become an RPG classic unrivaled in some areas to date. Although the game can be played with up to four players, the extensive downtime between player turns kills the gameplay and makes it frustrating. On the other hand, playing the game solo creates a completely different, best in class RPG experience the game is so well known for. 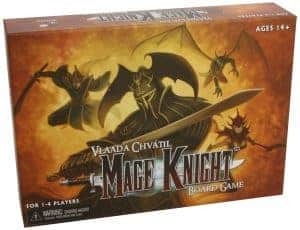 In fact, Mage Knight is one of the main games that have heavily influenced and shaped the development of the solo play in modern board games. The game also works well with two players, but anything more than two would be a stretch. Mage Knight features character leveling and a campaign mode creating a long-lasting RGP experience in a beautifully crafted fantasy world setting. It captures the rich history of the Mage Knight universe in a very special, addictive and immersive way. You will find the game to incorporate a number of board game mechanics such as deck-building, card drafting, tile placement, role play, and others. Surprisingly, it manages to integrate them extremely well delivering an all rounded and smooth board gaming experience. On their turns, players can perform a number of actions such as a movement, combat, or trigger special abilities. It may seem pretty straightforward, but getting the actions right takes a lot of brain power. The reason is that actions are often interrelated, so doing one action opens up a door for another action, but may cause some knock-on effects that are crucial to consider. Just to add to it, getting one action wrong can determine the game outcome, so no pressure. If you do get it wrong, however, the game features a reset mechanism that allows you to return back to the state of play prior to you taking your turn. Winning the game requires thorough thinking and just like in chess, seeing the game a couple of turns ahead. It is a highly strategic and tactical experience that is as deep as we have ever experienced. The turns can be complex with multiple things to consider to the point where you start to feel your brain melting. Each turn feels like solving a challenge on its own, but getting it right returns enormous rewards and a sense of an epic accomplishment. Mage Knight delivers a unique and remarkable RPG experience, but it is not for everyone. It requires dedication, patience, and intense concentration to score a win. If you enjoy complex puzzles that require you to think a couple of turns ahead, open world fantasy setting, and you also have around three hours up your sleeve – get it, it is one of the best RPG board games of all times. 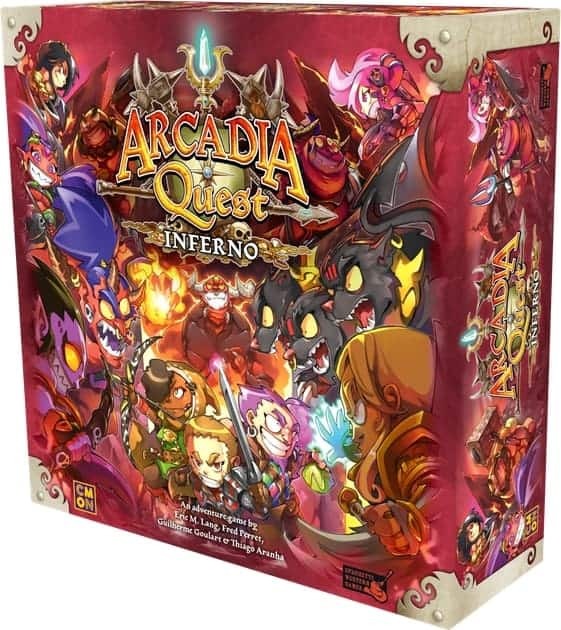 Arcadia Quest: Inferno is a standalone expansion, based on the original Arcadia Quest board game released in 2014. In the game, you and other players get to create a guild of three heroes tasked with descending into the depths of Inferno to put an end to an army of angry demons and the Underlord himself. The game delivers a unique combination of dungeon crawling and PvP action which adds a unique twist to the overall gaming experience. Like most RPG board games, heroes get to complete quests in the underworld by cooperating with each other fighting monsters and then sharing the loot. What makes Arcadia Quest: Inferno different is that it also allows players to get greedy and make it personal. The game allows players to initiate life or death arguments where only one would walk away with the loot. Combat in the underworld follows a classic dungeon crawler tradition of being simple and fast. Whether you are fighting an enemy or another hero, it involves a lot of dice rolling. The enemies are typically semi-aggressive and only attack if provoked. Turns in Arcadia Quest: Inferno are quite swift and take only seconds to complete. As a result, there is almost no downtime between players turns, which is always welcome. Dying may seem a bigger deal than it actually is as heroes get to respawn almost instantly. At the same time, dying too often earns a curse that will stick around for missions to come. Campaigns in the game are streamlined and have just enough narrative not to feel empty. The branching campaign system allows the players to carve their storyline by deciding which quests to embark on and which newly discovered territories to explore. As you complete missions you get to acquire items, rewards and meet trapped angels. Saving the angels will add them to your team where they grow and become more powerful as the story unfolds. You can also corrupt other players and monsters to add even more fun, tension and unpredictability to the overall gaming experience. As you earn gold through the scenarios, you can spend it on upgrading weapons and character improvements that set your ready for more difficult challenges lying ahead. Arcadia Quest: Inferno is a simple yet a great way to dungeon-crawl with friends and children without taking up an entire evening. It is a perfect RPG game for anyone looking for a faster and lighter way to get through scenarios. The ability to have an argument and a death battle between the heroes adds a unique twist to the gameplay making the gaming experience truly engaging and fun. Darkest Night is a revamped and expanded version of the original game made possible through the Kickstarter funding. 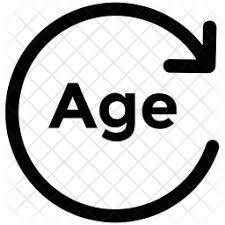 The new version has received a complete overhaul which ultimately feels, looks and plays like a brand new game. It now features a gorgeous art, better quality and bigger components, and five amazing expansions. Overall, it feels more complete and definitely more premium. The game sets the scene in a kingdom broken under a Necromancer’s shadow where up to four players take on the roles of heroes with unique special abilities in their attempt to salvage the realm taken over by the evil Necromancer. If you ever felt short on options when picking characters to play, you will be pleased with Darkest Night. The game lets you choose from 29 different hero classes, and manages to still provide a unique experience for each. Exploring the kingdom is a very thematic and engaging journey where you can find equipment and special powers to improve the heroes’ ability to fight evil. But most importantly, you will find keys to unlock the holy relics that you desperately need in order to defeat the Necromancer. Whilst the heroes discover the kingdom, the Necromancer blights the land, grows his army and becomes more powerful with every turn. Every area that gets too blighted gets overrun by dark forces and the monastery receives a spillover. If the monastery falls and gets overrun, the whole kingdom and heroes get consumed by the darkness and the game ends in defeat. 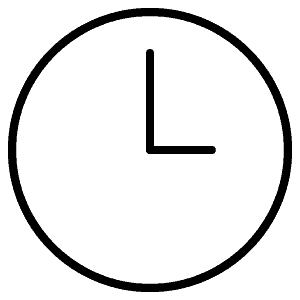 The game has a smart timer mechanic that makes you feel that your heroes are running against the clock. While monastery still stands, your heroes have a chance of defeating the corrupted Necromancer in two different ways. You can collect three relics, bring it to the monastery and perform a sacred ritual to cleanse the land from the Necromancer and the undead. Alternatively, there is always a brute force way of defeating the evil leader in a direct encounter. Pick the strategy to your liking! Darkest Night manages to create an environment that is truly thematic and intense. There is always a feeling that you are running out of time and the end is near. The gameplay is quite variable due to the abundance of hero classes and the events that you get to face throughout the game. Winning the Necromancer is not an easy task, at the same time, loosing does not feel disastrous. The game somehow still delivers a rewarding feeling by bringing joy and pain in equal measures. Darkest Night delivers a truly unique, dark and seriously emotional experience where fighting evil feels real. The theme, art, heroes, and time pressure seem to blend together perfectly to create tension and glimmers of paranoia. If you are after a cooperative experience in a dark fantasy setting, Darkest Night is among the best RPG board games to have on your shortlist. Shadows of Brimstone: City of the Ancients is a fast-paced, fully cooperative board game featuring campaign mode and character progression. The game sets the scene in the Old West-themed underworld filled with horror. In the game, players get to take on roles of brave adventurers who travel deep into the mine in search of an elusive dark stone. What they find instead are demons, monsters and foul creatures from beyond space. At times, players may even find themselves pulled into other worlds by using portals where even more adventures and surprises await. The scenario objective is unique for each mission and can range from finding a Darkstone deposit to entering other worlds and rescuing lost civilians. Darkstone is a scarce resource scattered around the underworld and has the ability to corrupt characters that hold it. Completing scenario objectives awards players experience points which are used to level up the character. Additionally, the players may get exposed to less fortunate effects such as permanent injuries, disfiguring mutation or madness. Those effects can get carried across the scenarios. Between the adventures, the players can visit local frontier towns to rest, gamble, undergo a surgery, buy gear, artifacts or other special items. It allows players to prepare for the next scenario and to develop the character throughout the campaign. The character progression is driven by a class-specific upgrade tree that unlocks special skills and abilities to allow custom character development. In terms of the gameplay, Shadows of Brimstone’s is quite straightforward. It involves moving characters around the underworld, exploring new map tiles and fighting evil creatures using dice to resolve combat. Overall, the Cthulhu horror narrative feels quite emerging and ads a nice touch of thematic experience into the mix. Despite the game having a horror theme, it is surprisingly fun and even hilarious at times due to its randomness. The game is quite easy to learn as the rules are clear, intuitive and streamlined which makes it a great choice for anyone wanting to get into the cooperative RPG board games. 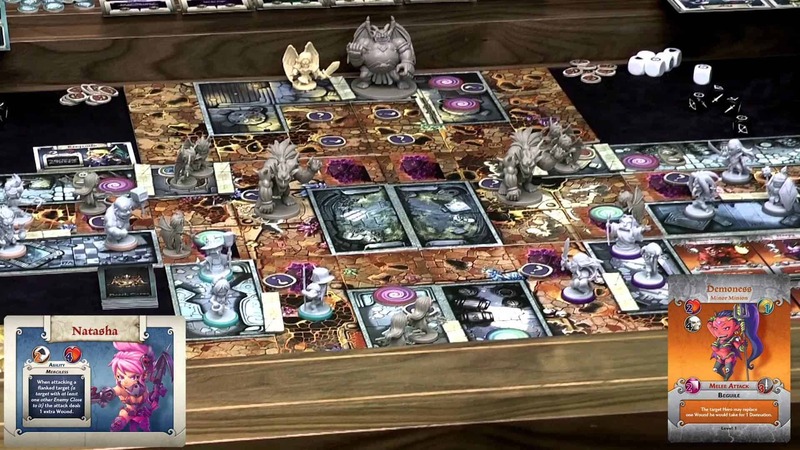 Shadows of Brimstone: City of the Ancients is a great dungeon crawler experience mixed with an engaging horror narrative that is both fun and thematic. The game fosters player cooperation in an evocative and immersive way that feels entertaining rather than serious or horrific. The non-stop dice rolling adds the element of unpredictability and fun into the mix making it a perfect getaway or casual RPG board game. Perhaps too much dice rolling? Sword & Sorcery is an epic scale story-driven dungeon crawler that packs loads of thematic action. The game is fully cooperative, where up to 5 players can team up against the forces of evil and darkness. Although there are multiple board games that feature the underworld setting, Sword & Sorcery makes it a lot more pronounced than others. The game feels, plays, looks, and even screams ‘underworld’, much more than any other board game in our review. Even the heroes you get to control have thematically risen from the dead to venture on some violent missions against nasty and evil monsters. In terms of characters, there are five classic RPG classes to chose from – a knight, a ranger, a rogue, a wizard or a cleric. The game is made up of multiple missions, which are broken into scenarios that are well incorporated into the storyline delivering a great thematic immersion. The unique feature of Sword & Sorcery is that you get to choose your soul nature at the beginning of the game. You can pick between Law, Neutral, and Chaos and have it carved in your Soul Gem which ultimately defines your character. Getting that choice right is important as it determines your style of play and how encounters, checks, and monster fights are resolved. Additionally, defining your soul nature also drives the initial skill set and drives interaction with other players in the party. It is advised to have all players to be on one side, at least for the first game. It helps to streamline the team decision-making process as teams driven by either light or dark forces have better chances to succeed. In addition, the Soul Gem determines your health, combat activities, action activities, power and talent cards your hero starts with. As you move along the storyline your hero gets to gain soul points from corpses of the enemies you defeat. Those sole points allow you to enhance character’s attributes and level-up. For character progression, there are seven levels to go through, with each one making you stronger and more capable. As your heroes move along the map they will discover new events and waypoints. They are usually quite thematic and you may need to refer back to the storybook to understand the story behind it and how to advance. Most of the time, you discover some helpful information about the quest you are doing. Alternatively, if you are less lucky, you get to face an enemy attack. Eventually, you will get to complete quests and earn some gold, which can then be spent at the Emporium (game’s market) to get the latest items and consumables. If heroes ever run out of health, they die and turn into souls. There are shrine locations on the map where the fallen heroes can be resurrected. But keep in mind that the team needs to have the sufficient Soul Points to commit to the ritual. 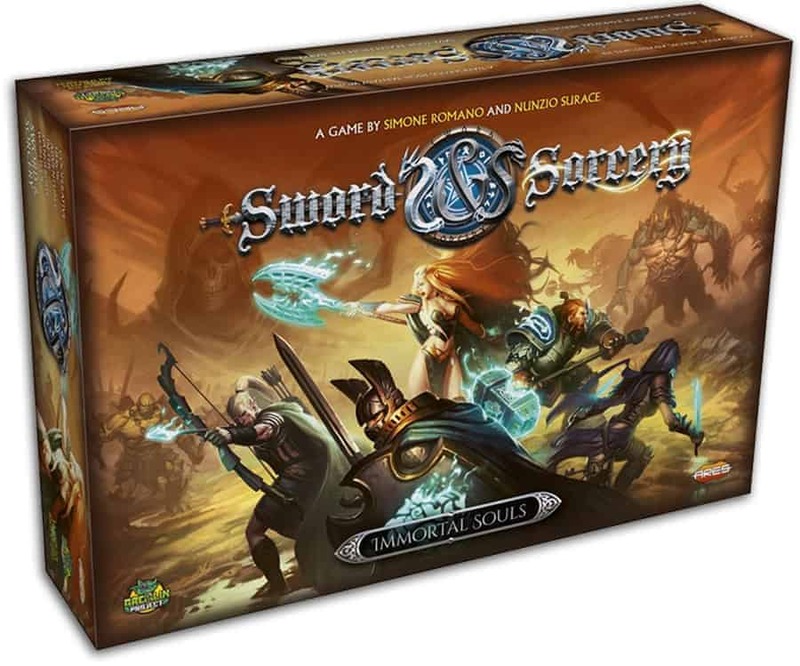 The dynamic storyline, branching narrative, smart character progression, and customization make Sword and Sorcery one of the most complete RPG board games we have ever played. It delivers an amazing level of thematic action in a truly heroic fantasy board game adventure. Anyone looking for the essence of RPG experience in board games should give this game a try. Ah, and the in-game item market is amazing, it reminds me RPG video games. The 7th Continent is the latest cooperative board game of adventure, exploration, and survival. The game features innovative playing mechanics and one creates one of the biggest board game worlds ever. We have previously reviewed the game as part of our top solo board games list and were pleasantly surprised with the experienced it has delivered. The game story goes all the way to the beginning of the 20th century. You have returned from the expedition of the 7th Continent and realized that everyone in your team is now dead and you have been cursed. In an attempt to lift the curse and find the truth, you have decided on your second expedition to the 7th continent. Throughout the game, players get to discover the world by building the board piece by piece. There are almost 1,000 adventure and action cards to make sure the world you discover is always unique. The game employs two unique mechanics that have not seen in a board game before. First, to progress in the game you need to use adventure cards. Each adventure card usually triggers other cards to be played which ends up being a never-ending sequence of events that keeps the storyline going. This mechanism coupled with a vast number of cards that come with the game can most certainly guarantee high replay value and the unique experience every time. Second, is essentially the way the hero’s life is managed. Your actions cards are also your life force and the moment you run out of them, you die. The trick is that you need action cards to solve riddles and each time you solve one you can use any number of cards to solve it. More cards give you better chances to solve the riddle but take away more life which represents a quite unique deck management challenge, in essence. Lastly, you start the game not knowing what to do which feels strange in the beginning and extremely fun and intriguing as you go along the storyline. Ultimately, the story and scenario objective becomes clearer as you explore more land and find more clues. You will eventually discover what needs to be done to win, but it is the ‘how’ that makes this game a unique experience from any angle you look at it. 7th Continent is a unique board game that feels innovative and less of a game and more of an experience. The implementation of multiple unique ideas and mechanics coupled with the stunning design deliver an incredibly deep and thematic atmosphere. The game feels like a breath of fresh air that may have just defined the boardgame trends for years to come. BGG stands for Board Games Geek, the most visited board game website in the world. 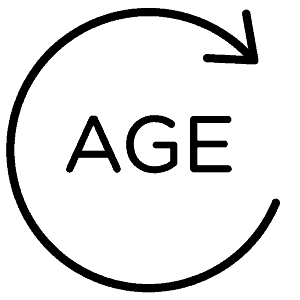 What is an Action Point Allowance System? It is a system where players are awarded a certain number of points per round. The points can be spent as the player sees fit, until the player has no more points left. What is a Skirmish Game? A skirmish game is a man-to-man wargame where units mostly represent single individuals or characters. The individual’s characteristics are typically broader and may include morale, perception, skill-at-arms, etc. Minis is a short version of miniatures. They are small plastic figures that represent players, heroes, units on the board game. What is a Standalone Expansion? Standalone expansion is a board game that expands a previously released base set. The game can be played together with the base game or on its own. It is true that Gloomhaven is so good… but man, could they not have included proper miniatures, not the paper ones? We kinda feel the same way, it would have made it even more epic. At the same time, you can always improvise with other minis!